I know because I have two shelter cats at home. They cuddle with me when I have a cold, defend our domain from crows and ladybugs, and in general do everything they can to be members of the pride. Orion, a shy cuddle-monkey we adopted from Paws and Claws three years ago. Promote responsible companion animal care. I decided I wanted to do something to give back to my local animal shelter through my love of knitting. And I wanted to give other people a chance to take part to help make a greater impact. So I decided to knit a shawl. And I’m offering that shawl in a prize drawing for people who choose to join me in supporting animal shelters. Luxurious, gray Cormo wool, purchased at the Wisconsin Sheep and Wool Festival. Handspun by me. The pattern is Color Affection by Veera Välimäki. The shawl took approximately 20-30 hours to knit. It would make a gorgeous accessory for you, or for someone special in your life. Entries will be accepted April 8-May 6, 2014. There will be one entry per person, no matter how much you choose to donate. The winner will be drawn randomly using a random number generator. I will contact the winner via email and will announce the winner here on this blog the week of May 6, 2014. Good-Time Charlie, who wants to run, and jump, and play, and lick your face, all at once. Your entry and donation will make a difference, no matter what. If you don’t wish to participate in the drawing, you can still contribute to this campaign. Tell your friends. Share a link on Facebook. Good-time Charlie, a dog who was just adopted at Paws and Claws. And if you have animal companions at home, give them a scritch for me. Congrats on your new furry friend btw. I think anyone who adopts is making the best “donation” possible. What a charming picture of Orion and a sweet idea. My check is in the mail (literally–the “contribute” at the P & C site didn’t process my intended contribution–ha). Should I win the shawl, the recipient will be the one whom the colors flatter most: on my PC it appears to be a lovely rose and on the ipad it appears as an orange-red! This one is for Aggie. You read my mind. This one really is for Aggie. 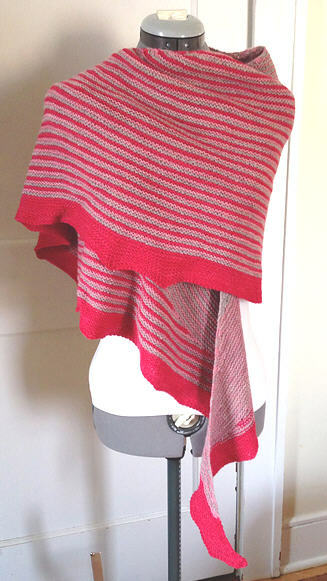 The shawl is in gray, rose and a punchy red/pink. If you think any of your other knitting friends (or non-knitting friends) would be interested, please feel free to share this with them too. The more the merrier. 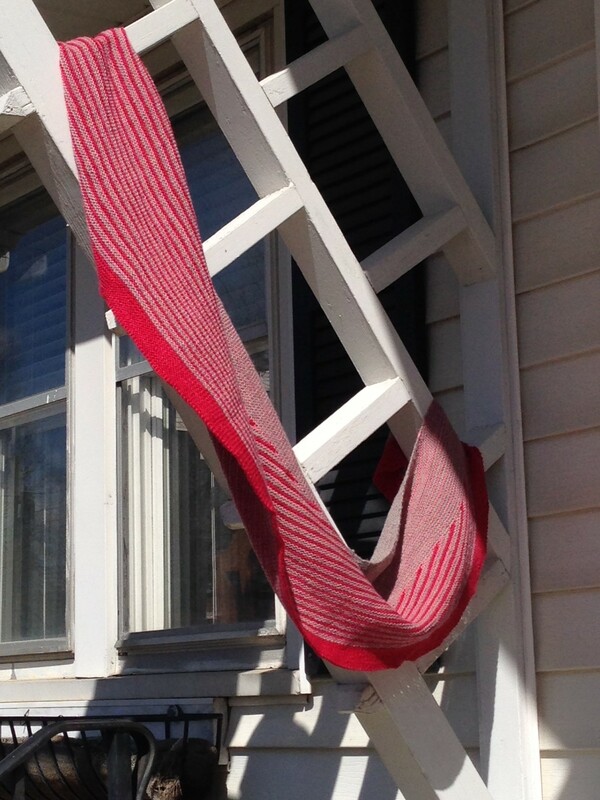 If we get enough participation, maybe I’ll throw a second shawl into the mix. I did it! We have always had rescue animals — eight cats so far and three dogs, every one of them a delight. When our boys were still at home we used to foster litters of kittens every summer. I am also on the board of our local humane society. Clearly, I HAD to donate 🙂 Thanks for doing this. What a wonderful, heart warming pet adoption story. I’m glad you and your fuzzbutt Elsie are doing so well together. Three cheers to you! Please let your friends know about this charity drawing. The more participation we get, the more good we can do for the shelter!! Caitlin, I just finished making my donation to PCHS. Thank you again for your kind heart in doing this fundraiser. Orion has to be one of my very favorite shelter stories. It’s an adoption I will never forget. So glad this sweet one is with you! If I were fortunate to win your gorgeous shawl I would treasure it forwever, just as I already do my beautiful scarf. They could keep each other company 🙂 One thing is for sure – we all are winners in this one. Thanks again for generosity to PCHS. DeVon, you warm my heart. Thank you so much for participating. And for bringing Orion into my life. 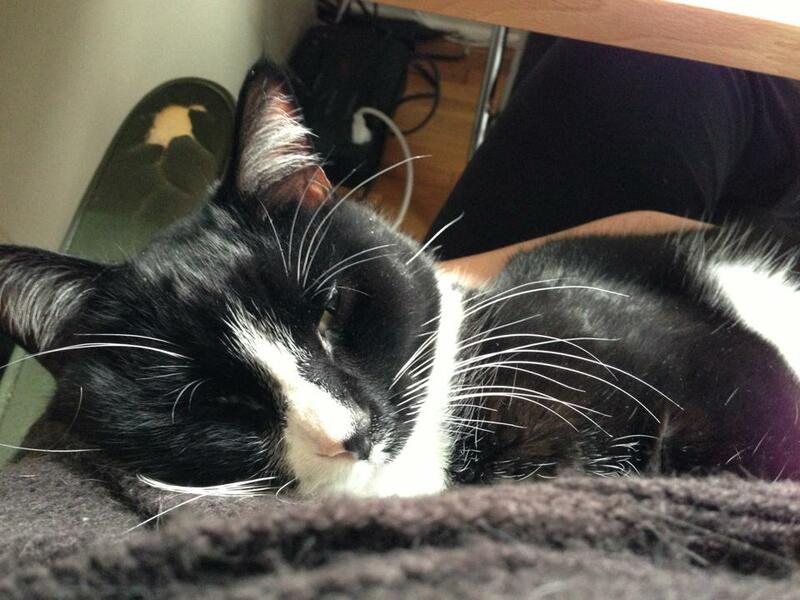 He’s sleeping right now, but if he were here right now…he’d be on my lap and interfering with my typing. Cheers to you. I’m so glad to have this opportunity to do something for PCHS. What a nice idea! 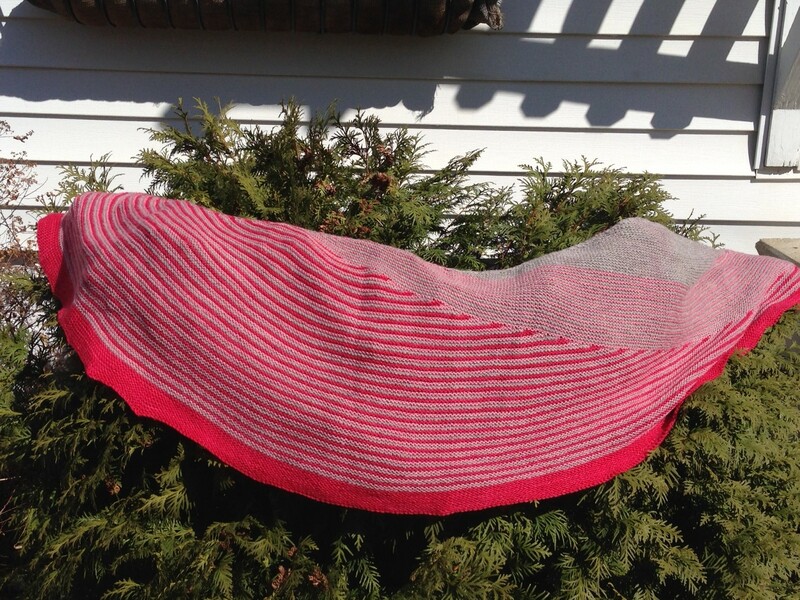 And the shawl is lovely–and one of a kind! Kudos. I’m glad your local supermarket is willing to help with your efforts to support the humane society. Sorry for not replying to this comment more quickly. Your comment got caught in my spam filter for some reason. Anyway, thank you for taking part and participating in the contest! And give your critters a scritch for me. I made a donation to Paws and Claws. This is a wonderful contest! I would wear this shawl with pride if I was the lucky one. The animals win either way! Thanks so much for your generosity. I donated to Paws and Claws. I would have to decide between a good college friend who loves all things pink or my mom. That’s so cool. Thanks for taking part! this. is. fantastic! i made a donation to our local animal shelter here in bowling green, kentucky. i volunteer there at least twice a week and i know the website by heart so it was easy. =) they are a marvelous organization and have a great base of community support… AND i adopted both of my spoiled brats from them. the paws and claws animal shelter sounds just as amazing, but my cats were giving me the stink-eye and they run the place. hehe. i dabble in knitting and crochet, but i’ve never even though of doing something as ambitious as this shawl. it’s scrumptious, not to mention that the fact that it’s local fiber touches on another issue near and dear to me. my story: i’d decided at long last (a year after i lost my beloved black lab to cancer) that it was time for a pet again, but i didn’t think i could take having another dog yet. so, one night at midnight, i hastily applied for the cat of the week on the shelter website because i fell in love with her from afar and was afraid someone would get to her before me…. only to find out someone already had. i went down there anyway, and returned a few times meeting and re-meeting all the cats. finally, i decided on a white cat named breyer and went to collect him. 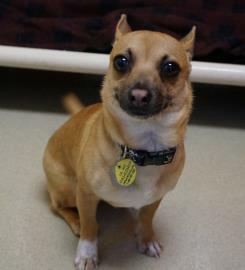 imagine my surprise when i walked in and said to them, “i want louie.” i’d met him twice, but i didn’t mean to take him home. he wasn’t surprised. i’m convinced he somehow picked me. he’s my perfect little guy, and i’m glad he did! a few months later, the woman i work with most closely as a volunteer told me a sad story about a cat who had come back to the shelter. 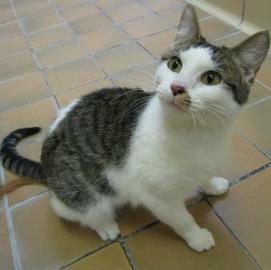 she’d been abandoned by her previous adopter, and had been found in his apartment a week after he’d moved out! of course i wanted to meet the little unfortunate–imagine my surprise AGAIN when it turned out to be abby, the first cat i’d applied for! of course i took her home, and we’re all very happy. i’m so thrilled to see people finding creative ways to support responsible shelters. many kudos, and i’m spreading the word even though i came in late. yay!! I tested up reading your story. I just can’t believe people do things like that. I’m so glad little Abby found a good home with you. Thank you so much for participating. It is so nice of you to offer that amazing shawl that took so much love and effort. I had forgotten about this but will be donating tomorrow. Don’t need to be on the list and hope the lucky winner enjoys.